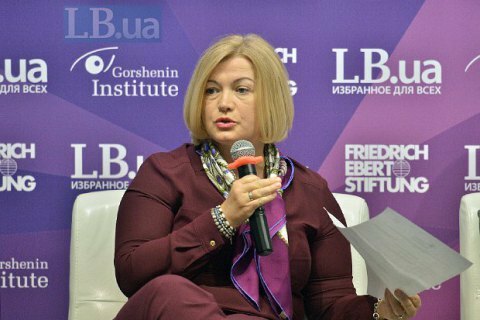 "But there are preconditions for the coalition to expand"
First Vice-Speaker Iryna Herashchenko ruled out the possibility of holding early elections to the Verkhovna Rada. "In the meantime, the coalition may expand and those political forces that are in the democratic circle can strengthen the coalition by their responsible position," she said. The Verkhovna Rada has no de facto ruling coalition. The overall number of deputies in two pro-government factions is less than the necessary majority of 226 seats. The leadership of the parliament insists that the coalition also includes many non-factional deputies, even though their list has not been made public yet. The Verkhovna Rada has been unable to take any decision without the support of representatives of opposition.